Global Reach has an open position in our design department. We are seeking a creative web designer with at least 2 years of professional experience for our Ames office. The ideal candidate will be passionate about web/interactive design, yet also have experience with print collateral and identity design. This is an exceptional opportunity to join one of the largest and most established web development firms in Iowa. Global Reach is seeking a highly motivated individual who feels confident taking the lead on advanced web development projects and applications. As a Web Application Developer at Global Reach, you will have the opportunity to work with a diverse development team on projects that will challenge and grow your knowledge of the web industry. Unique from our competitors, Global Reach allows for great scheduling flexibility and independence in your day to day work life. It is this flexible environment that nurtures innovation and forward thinking. In this role, you will be expected to bring your fresh ideas and knowledge to the table, always striving to improve our web applications in order to stay a step ahead of our competitors. 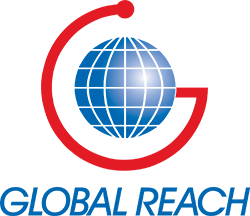 Global Reach is seeking an individual to join their performance driven project management team. The perfect candidate will have the motivation to take on multiple projects at once, while continuously providing exceptional communication both internally and externally. Have the ability to work in Ames!